Reckless driving, according to NJSA 39:4-96, is defined as driving a vehicle in a manner that thoughtlessly endangers a person or property. It also involves the willful or wanton disregard for the safety of others. In the state of New Jersey, reckless driving is considered a criminal misdemeanor. Reckless driving can carry some serious consequences and penalties. As a first-time offense, penalties may be up to 60 days in jail, and fines that range from $50.00 to $200.00. A subsequent charge for reckless driving can carry a jail sentence of up to three months and up to $500.00 in fines. If you have more than one reckless driving offense, you may also be subject to up to 5 points on your driving record. 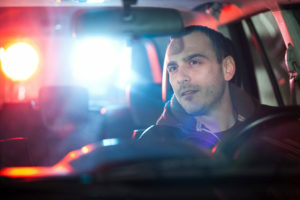 However, if the reckless driving charge was a first-time offense, a driver may be able to negotiate a plea that could reduce suspension of your license for another less serious penalty. Such an alternative penalty may include a requirement to take a driver’s education class in lieu of the suspension. Do I Need a Lawyer to Help Me with A Reckless Driving Charge? Many drivers do not understand the seriousness of a reckless driving ticket, nor do they understand what they may have done to lead to such a charge. Due to the seriousness of a reckless driving charge in New Jersey, it is important to understand your rights. Regardless which penalty you may be assessed, each one can significantly impact your daily life. Seeking the help of an experienced criminal defense attorney can help you understand your rights, as well as protect you from unnecessarily harsh penalties.